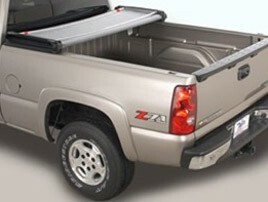 The Torza Top vinyl tonneau cover has no snaps or fasteners to release when accessing truck bed. 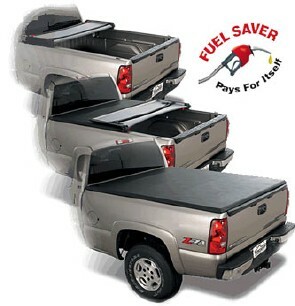 Just release the cam-lock levers, and it's done! 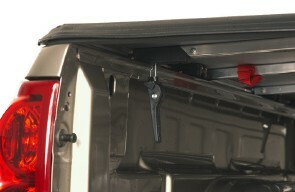 Nylon straps secure the folded cover behind the cab so that driving at full speed with the cover fully open as safely as possible.